← Easter Bunny, now with less terror! I was hit with a virus over the past week and a half and now it’s time to catch up on my pictures. I apologize for the spamming tonight while I get back on track. I have faithfully taken my Project 366 photo every day, but lacked the energy to post them online. 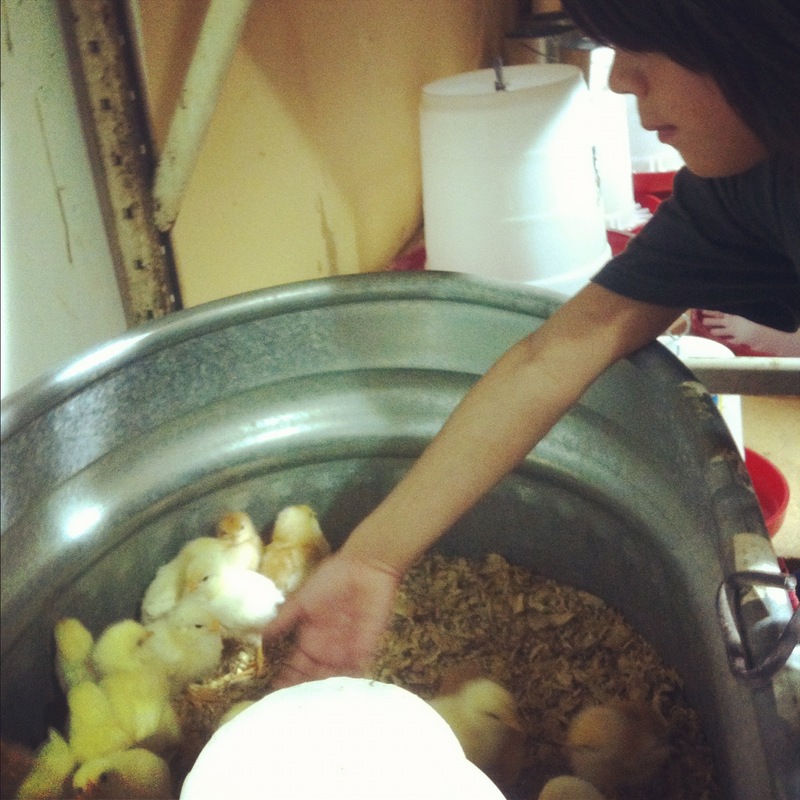 We visited a feed store to buy a metal tub for Piper the Pool Shredder and while we were there we got to visit with some baby chicks. When we told the kids that our HOA doesn’t allow for chickens my son had some pretty harsh words for them, “Darn that HOA!” It was at this store that my fever started to kick in and the overall feeling of yuck spread. The upside is that Piper loves her new metal tub, she splashes in it and can’t chew it apart! This entry was posted in Instagram, Project 366 and tagged baby chicks, chickens, chicks, feed store, HOA, Instagram, project 366, virus. Bookmark the permalink.